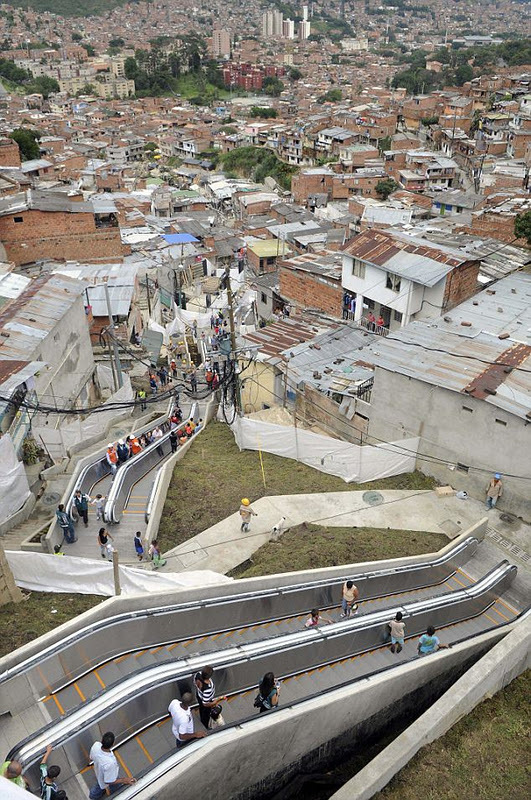 The escalator is 384 metres (1,260ft) long but is divided into six sections so people living on all parts of the hillside have easy access to it. 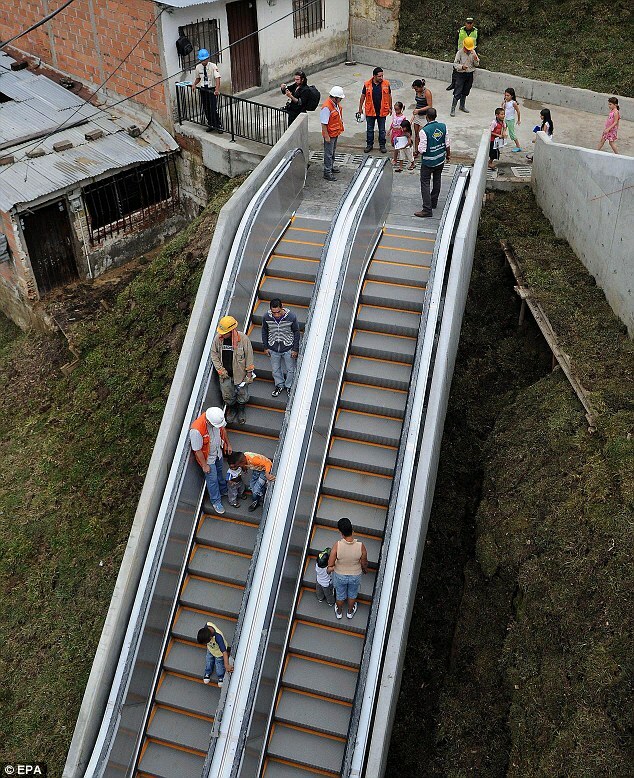 A giant outdoor escalator will cut their journey from 35-minutes to just six. 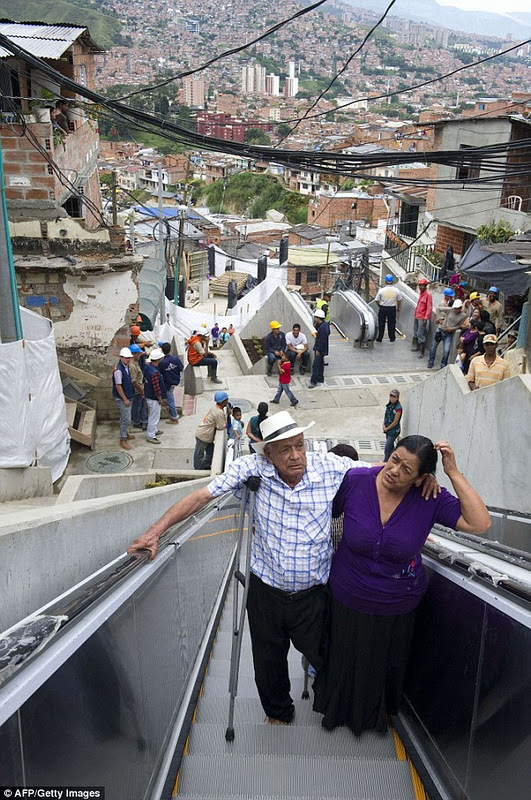 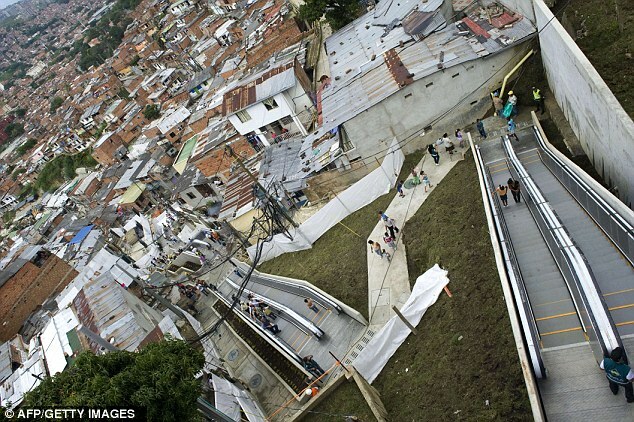 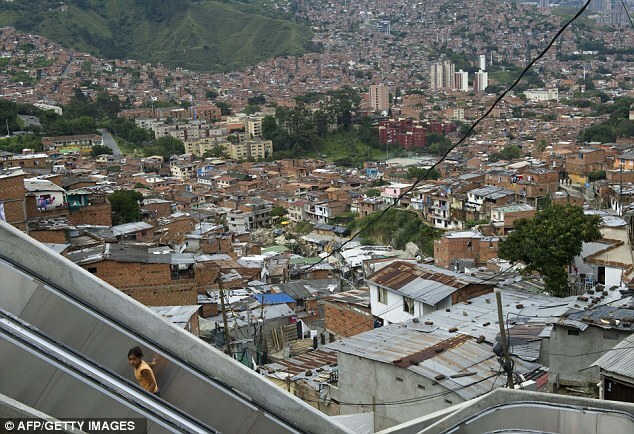 4 responses to "Colombian shanty town outdoor escalators"
Sure you don't mean Brasilian Favela? 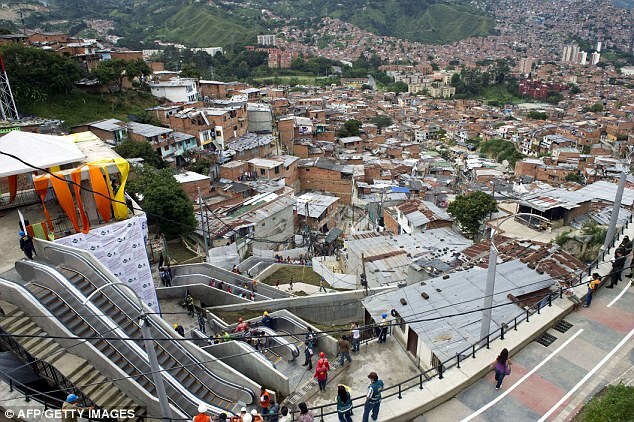 There are more places in the world then just call of duty maps, crawl out of your mums basement and go outside, critter.